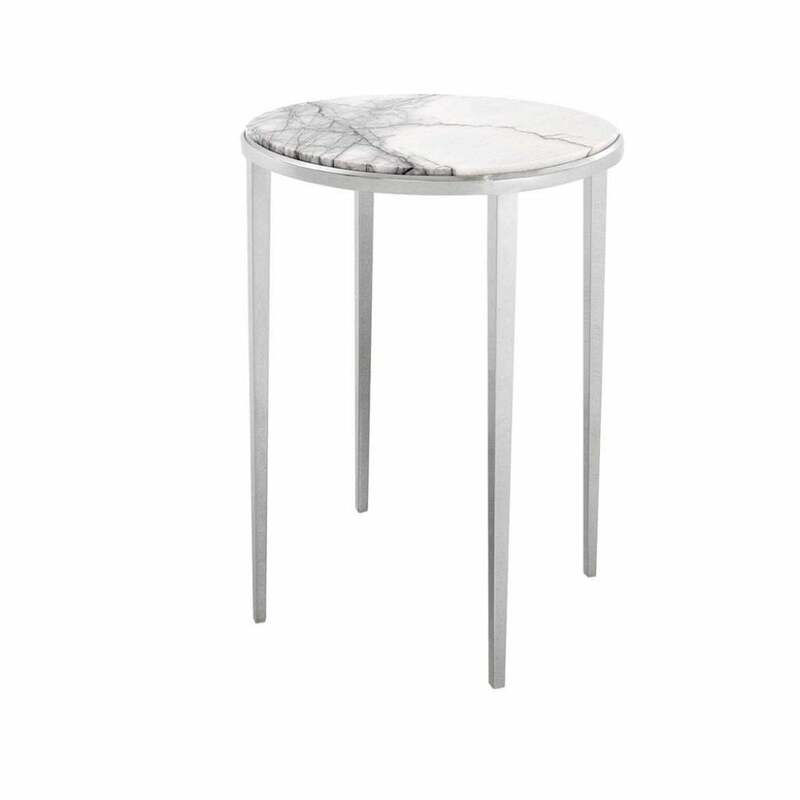 Featuring a stunning bianco lilac marble top, the Fredo Side Table by Eichholtz will bring a modern elegance to any interior scheme. Complemented by fine steel legs in a polished nickel finish, the circular side table provides space to display vases, books and candles. Fredo will also sit next to a sumptuous sofa in a contemporary living room. Place a vintage style lamp on the table for vintage ambience. Alternatively use as a contemporary bedside table in a minimalistic design. Create a Skandi cool vibe with pale wood, metallic accents and geometric wallpaper. Make an enquiry for more information.